Clinton-Massie Middle School/High School Assistant Principal Jay Reynolds updates the board on school happenings. ADAMS TOWNSHIP — It appears Clinton-Massie officials will again ask voters for additional revenue. The Clinton-Massie Local Schools Board of Education voted 3-0 Monday night to take the first step to place a 0.5 percent (½ of 1 percent) earnings tax on the ballot. Last fall, a proposed earnings tax of the same rate was turned down in a vote of 2,531 against and 2,345 in favor — a difference of 186 votes across the district, which is in both Clinton and Warren Counties. The measure passed Monday by the school board declares the necessity of raising $1.16 million annually for the school district for a five-year duration. The school board presently has a vacant seat after the resignation of Chris Harrison effective the last day of 2018. 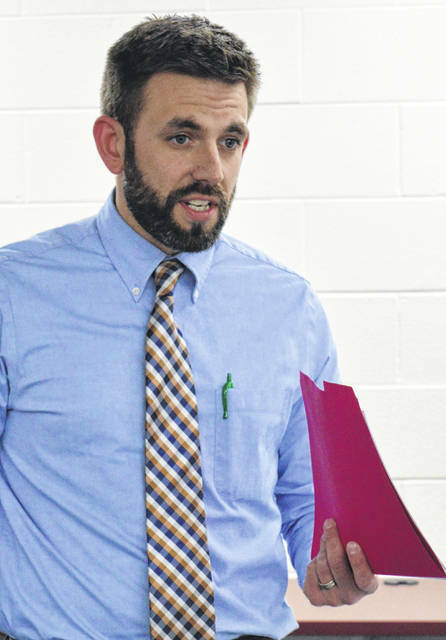 Clinton-Massie Local Schools Board of Education President Jeremy Lamb said a board vote on whether to go ahead and put a tax issue on the ballot will not occur until the board is comprised of five members again. Seven people have applied for the open spot on the school board, and interviews were conducted in executive session Monday night. An appointment of a new member is expected to occur at a special board meeting, Lamb said. At this week’s meeting, Lamb said additional budget cuts have been “pushed off, at least for now.” The district is not going to make any cuts in the middle of the school year, he said. The 2019 Primary Election Day will be on Tuesday, May 7. New district Treasurer Carrie Bir is making herself available at different establishments (like J&D’s Corner Market or the Route 73 Grill) to eat dinner, get to know people and discuss finances, announced Lamb. Her schedule for upcoming events will be posted on the district website. Flat state funding since fiscal year (FY) 2010, combined with not passing an operating levy in 30 years, have made Clinton-Massie delay or pass on capital projects, reduce staff, and remove offerings for students, Clinton-Massie Local Schools Superintendent Matt Baker has told the News Journal. The district has cut $3.7 million in spending since FY 2010, said Baker. During the superintendent’s report Monday to the board, he said he and two students will go to Airborne Maintenance & Engineering Services (AMES) at the Wilmington Air Park this week. The trip is in connection with a Business Advisory Council project to create a pipeline between schools and local businesses to bring about student internships at the businesses. The Clinton-Massie technology team and students will create a video that will be sent out to other schools that are a part of the Business Advisory Council. During the AMES visit, workers there will be interviewed as will the company’s Human Resources director. The point is to provide students with an internship opportunity for “real world experience,” said Baker. The video will be a Clinton-Massie product, “something I think we will be proud of,” the superintendent said. Clinton-Massie Middle School/High School Assistant Principal Jay Reynolds presented a report to the board. 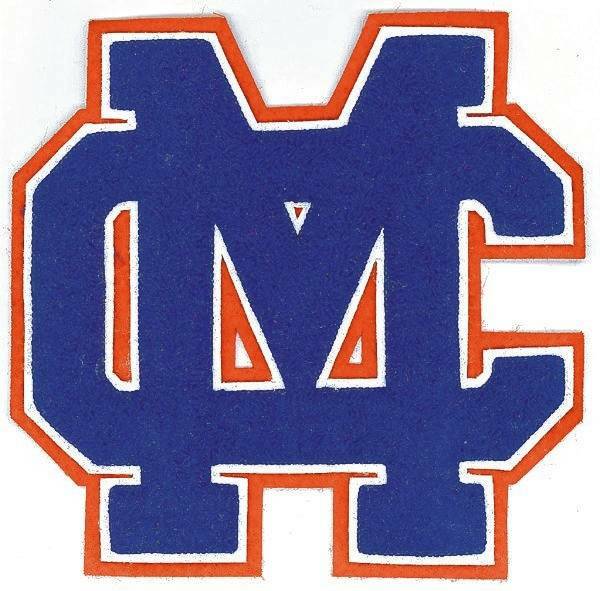 He said more than 70 Clinton-Massie sophomores have signed up to visit the Great Oaks campus in Wilmington (Laurel Oaks) where they will learn more about the career and technical education offered there for high school juniors and seniors. Support Staff Supervisor Stephen Ford reported they are continuing to struggle to keep the district’s older buses moving. One bus has had almost $10,000 worth of parts installed on it. The next regularly scheduled board meeting will be held 7:30 p.m. Monday, Feb. 11 in the middle school.